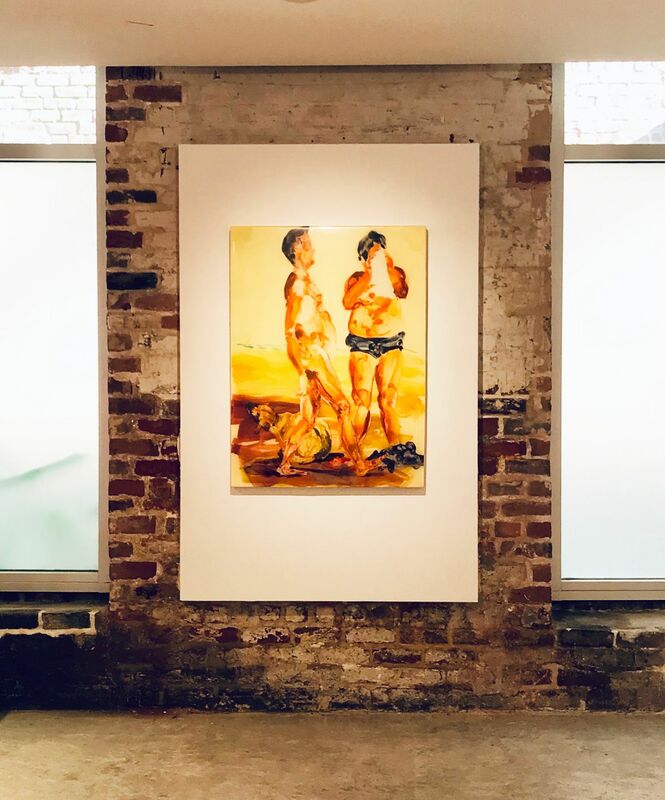 Eric Fischl’s extraordinary achievements throughout his career have made him one of the most influential figurative painters of the late 20th and early 21st centuries. 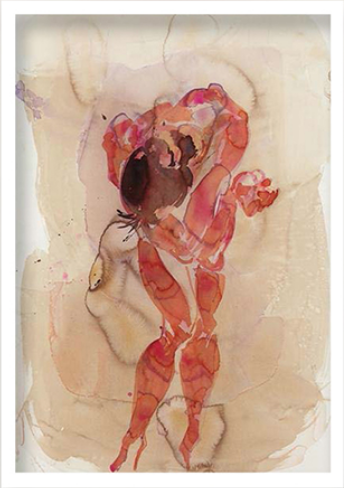 He was born in 1948 in New York City and grew up in the suburbs of Long Island. 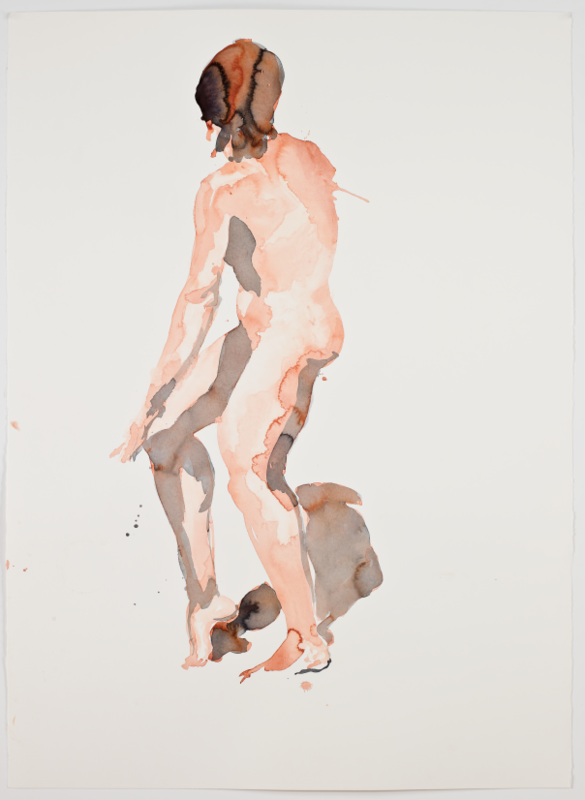 He attended Phoenix College and earned his BFA from the California Institute for the Arts in 1972. 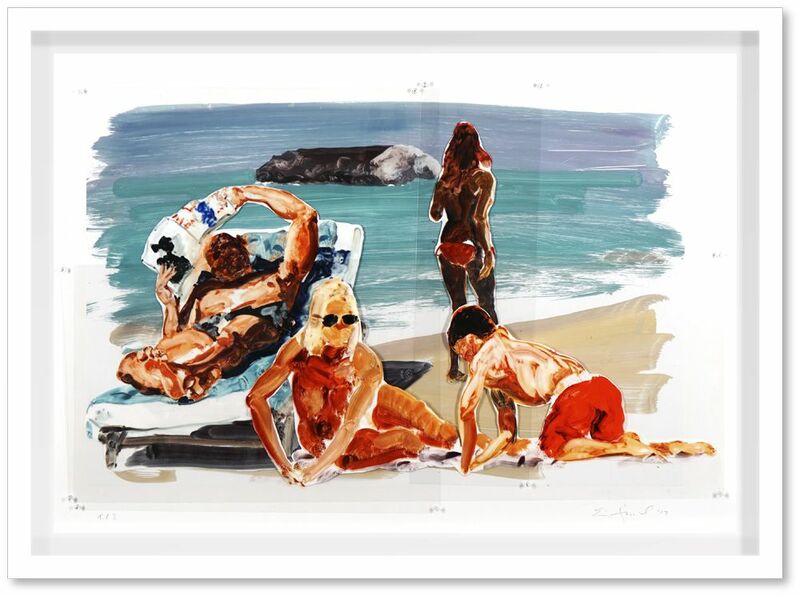 Fischl’s suburban upbringing provided him with a backdrop of alcoholism and a country club culture obsessed with image over content. His early work thus became focused on the rift between what was experienced and what could not be said. 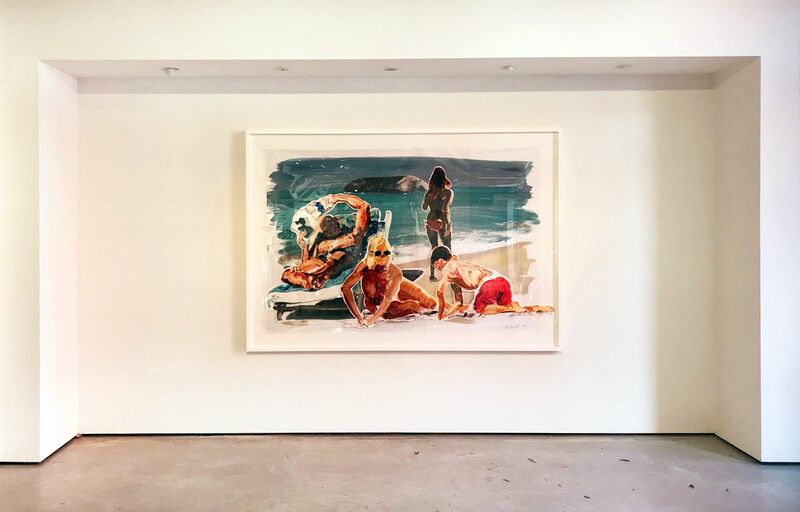 His first New York City solo show was at Edward Thorp Gallery in 1979, during a time when suburbia was not considered a legitimate genre for art. He first received critical attention for depicting the dark, disturbing undercurrents of mainstream American life. 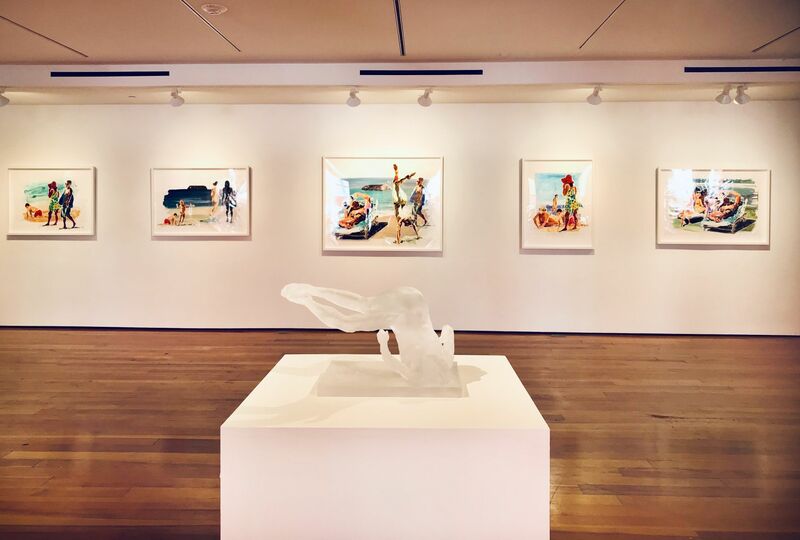 In the current exhibition, Fischl creates images that are both striking in their saturated tones and infused with the subtle tension of figures twisting, reaching, and pushing out beyond the boundaries of the picture plane. 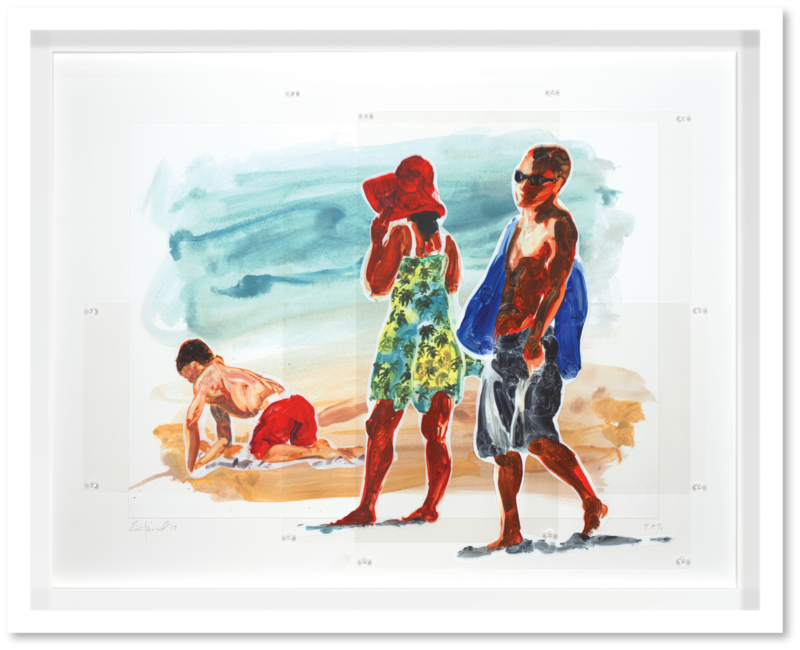 This work represents the latest in Fischl’s creative process. 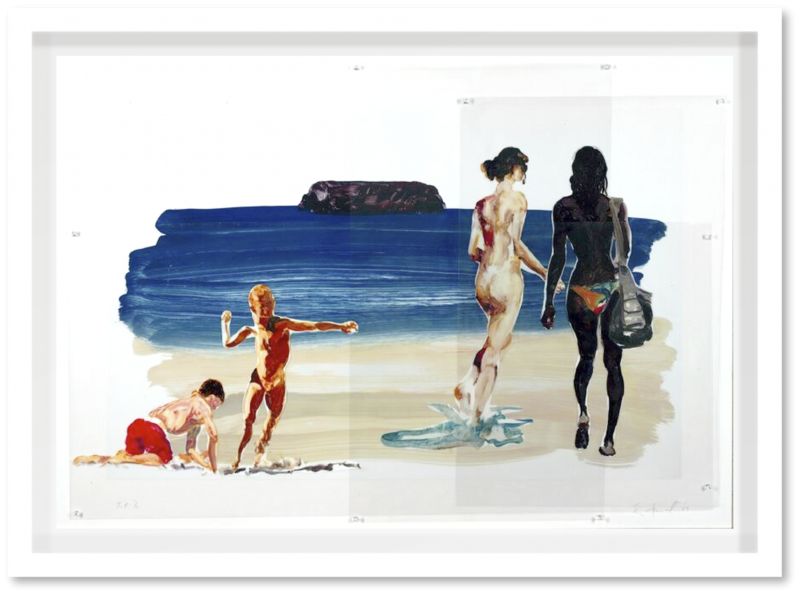 In the pinned Mylar and cast resin works the artist has re-imagined his technique used to create glassine collages in the late 70s and early 80s. 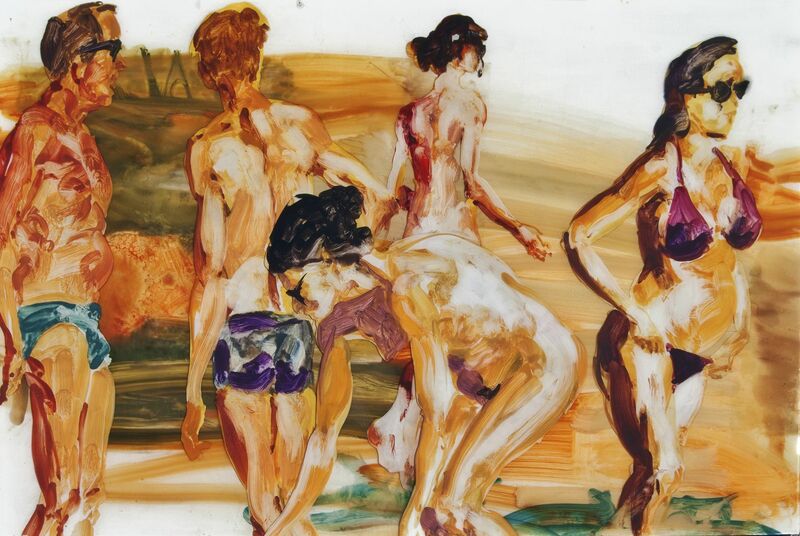 Drawing on those early years, Fischl pulls his collage process forward using contemporary imagery and art-making technology not available to him in prior years. The result is work that is fresh, arresting, and deeply tied to the historic roots of the artist. 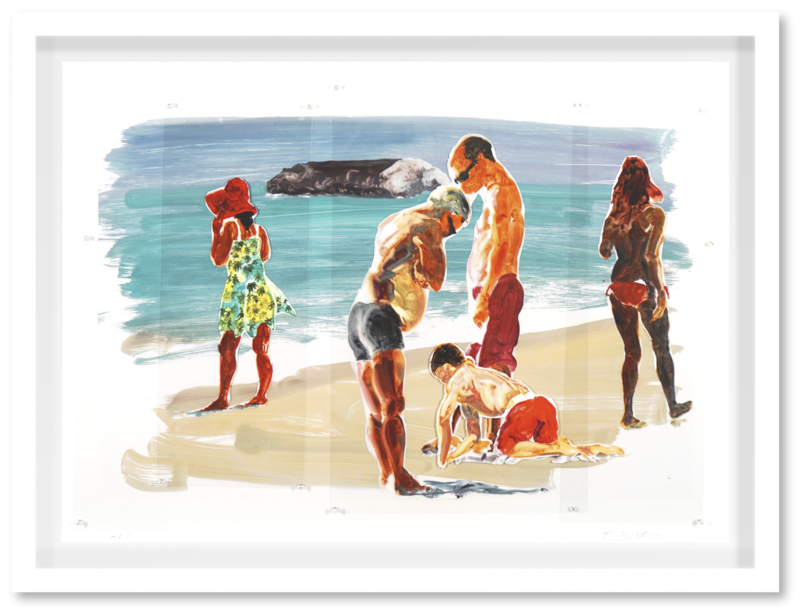 While both the cast resin and pinned Mylar concepts emanate from the same desire to revisit his early collage process, each accomplishes very different results. 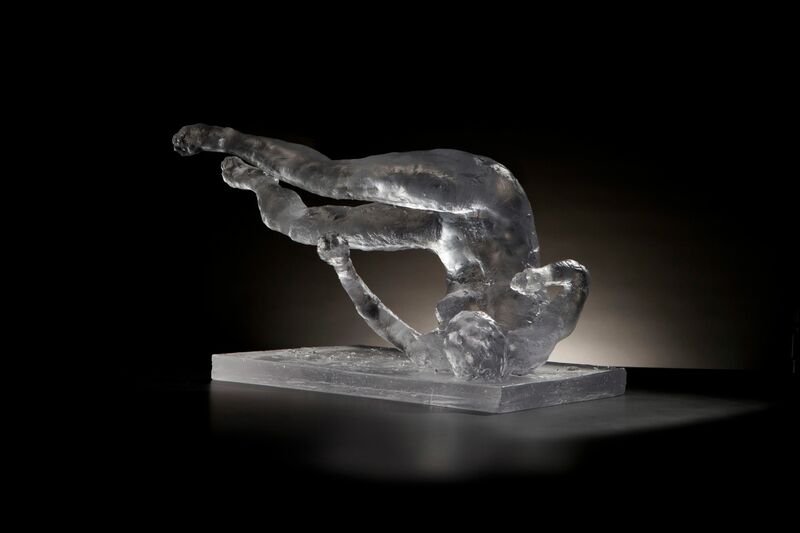 The resin pieces were created around the time Fischl began exploring cast glass sculpture. The resin pieces became a way to create collaged images in modern materials that capture light in a similar way to the glass sculptures, whereby light comes into the piece and projects back out of the work. 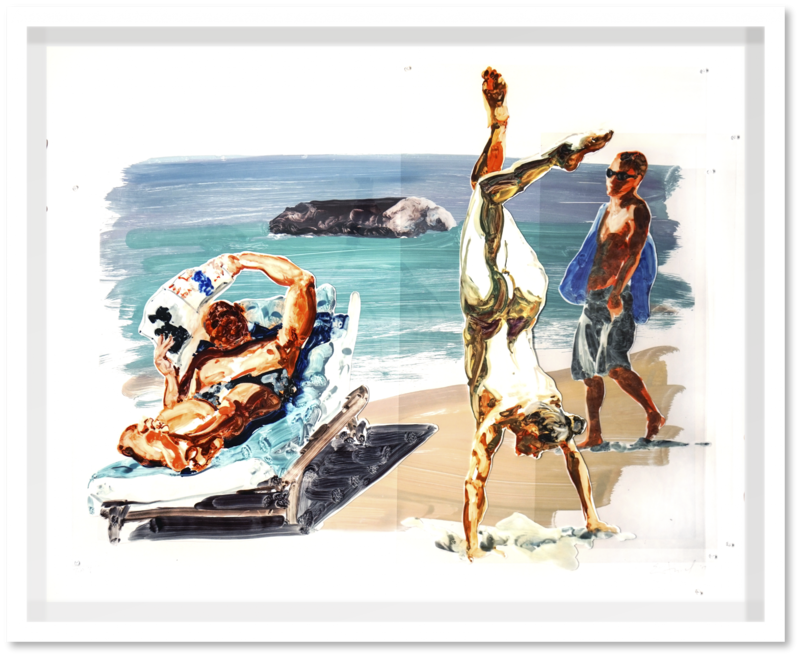 In the pinned Mylars, Fischl wanted to break free from the confines of the cast resin and the picture plane. This became a creative driver for much of this new body of work. 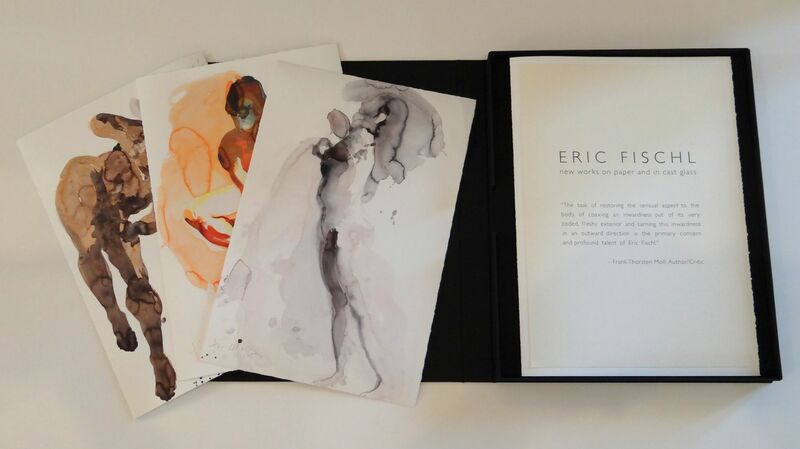 Eric Fischl’s paintings, sculptures, drawings and prints have been the subject of numerous solo and major group exhibitions and his work is represented in many museums, as well as prestigious private and corporate collections, including The Metropolitan Museum of Art, The Whitney Museum of American Art, The Museum of Modern Art in New York City, The Museum of Contemporary Art in Los Angeles, St. Louis Art Museum, Louisiana Museum of Art in Denmark, Musée Beaubourg in Paris, The Paine Weber Collection, and many others.